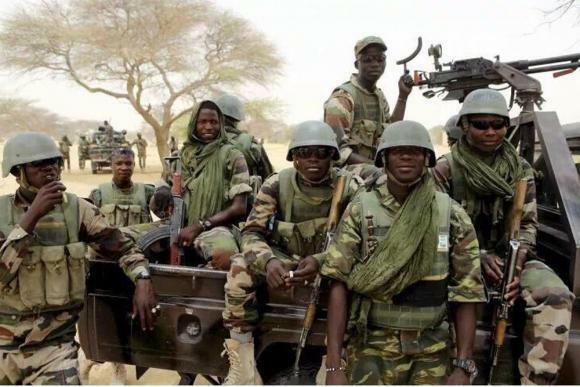 We have completely defeated Boko Haram – Army – Royal Times of Nigeria. The Theatre Commander, Operation Lafiya Dole, Maj.-Gen. Rogers Nicholas, says the Nigerian Army has completely defeated the Boko Haram insurgents. Nicholas stated this during the inauguration of the Nigeria-Cameroun Military Joint Mission on Saturday in Maiduguri. He disclosed that his troops under the operation DEEP PUNCH II had on Friday dislodged and occupied the insurgents’ tactical ground “Camp Zairo”. He disclosed that hundreds of insurgents had surrendered and several others fled their enclave while over 100 civilians were rescued. He said, “My soldiers are in the heart of Boko Haram enclave that is ‘Camp Zairo”, the gallant troops have taken total control of Sambisa Forest. “We have broken the heart and soul of Shekau’s group, taking over the camp and its environs. “They are on the run and we are pursuing them to wherever they go. This time around there is no place for escape anywhere. “We had earlier asked those of them that want to surrender to do so and we are still asking them to come out and surrender otherwise they are going to meet it the hard way”.